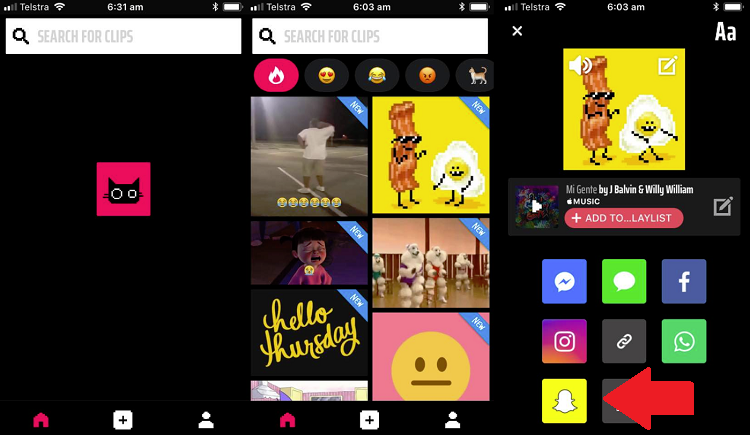 Get ready for a fun new option in Snapchat – Snap Inc. has formed a new partnership with TuneMoji which will enable users to send musical GIFswhich play a snippet of a chosen song along with the moving image. As first reported by Business Insider, the new process will add another, fun element to the Snap process, and is one of the first Snap Kit integrations, enabling third-parties to build on Snap’s platform. But it’s not exactly perfect. In order to use a musical GIF, you first need to have both TuneMoji and Snapchat installed. Once you do, you then need to search within TuneMoji, then share your chosen musical GIF to Snapchat (as shown in the process flow above). In my testing, there are still a few teething problems to work out too – when I clicked on the Snapchat icon, I was taken to an install option for WhatsApp. That’s a minor redirect issue, but the fact that you can’t simply add TuneMoji GIFs within Snapchat itself may be an annoyance for some. Still, the rising popularity of TuneMoji will no doubt make it a welcome Snap addition. 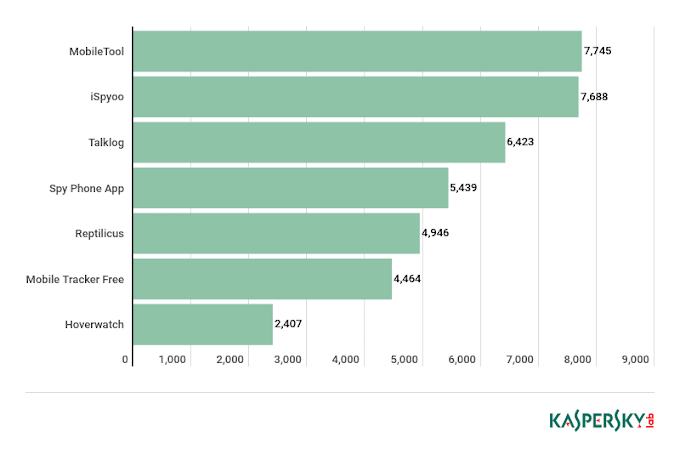 Founded in 2014, TuneMoji now has more than 20 million users, most of them coming this year, while it's also seen activity in-app increase by some 20% since the start of 2018. The capacity to add the digital stickers to Snaps will bring wider exposure to TuneMoji, which could lead to further integration with Snap in future. In other Snapchat news, musician Ariana Grande is also using the new capacity to sell products via Lenses to promote products related to her new album ‘Sweetener’. As reported by Variety, the Sweetener Lens will be available to all Snap users worldwide. 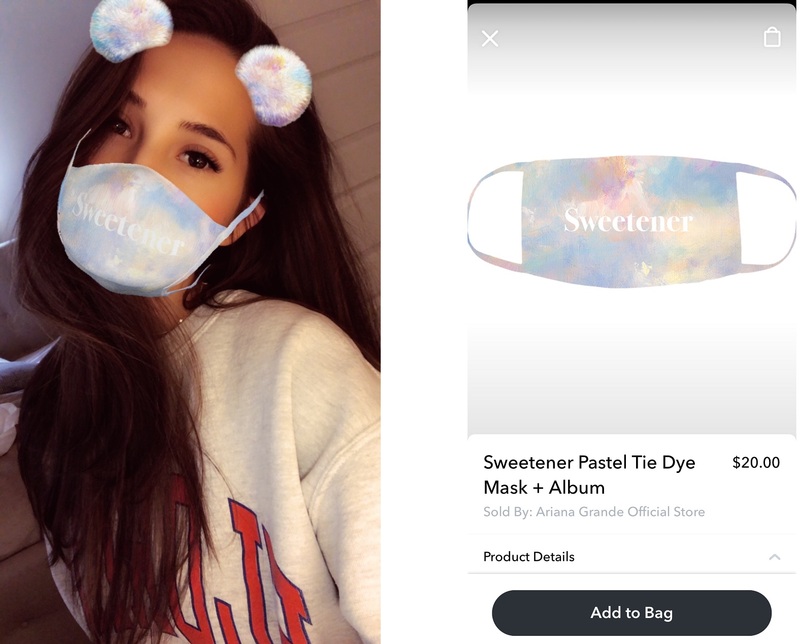 While using the Lens, users will see a “Shop” button – tap on it and you’ll be able to purchase the face mask ($US20). 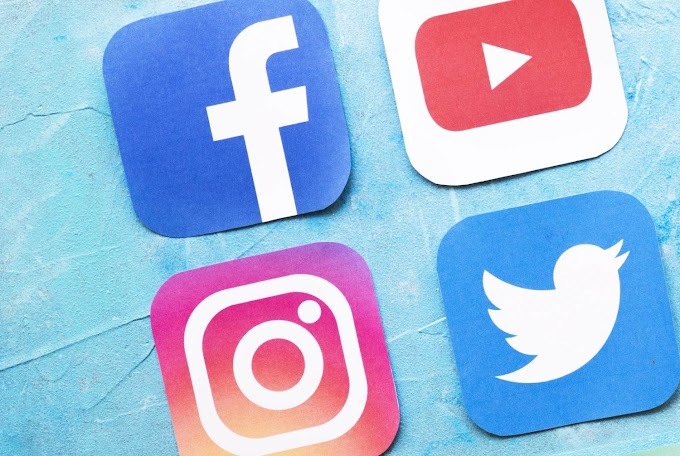 Shoppable Lenses are another potential money-maker for Snap – a higher-end option, for sure, but one which, given Lens usage, will no doubt interest those brands looking to connect with younger audiences.